Although Intel has not shared details on the release date of its upcoming Haswell Refresh processors it is now clear that they will be on the market soon due to the fact that most motherboard makers are now ready with boards for the new chip generation. MSI has shared details on its own Haswell Refresh boards that will be based on the new Intel Z97 chipset. The Taiwanese company will release three new Z97-based motherboards at first. 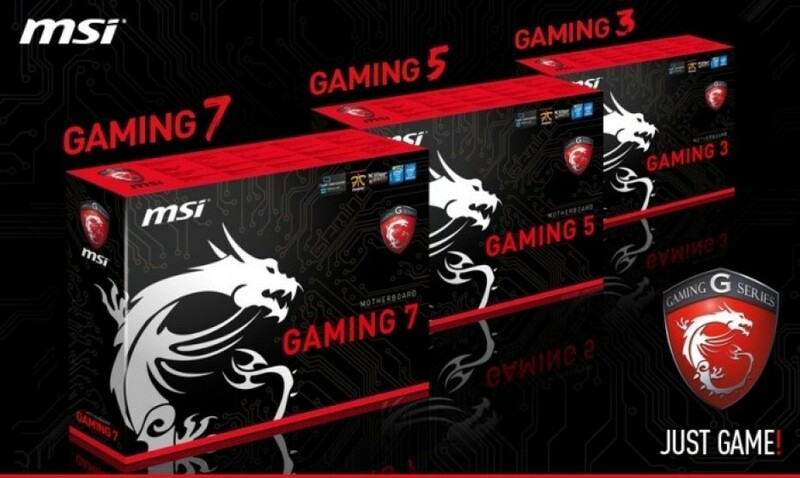 The MSI Z97 Gaming 3 will be a mid-range product, while the MSI Z97 Gaming 5 and Gaming 7 will be premium and high-end offerings. These new product names also mean that the company puts an end to the G45, GD55 and GD65 brand extensions. The MSI Z97 Gaming 7 comes with a 12-phase CPU iVR, three PCI-E 3.0 x16 slots, four PCIe x1 slots, eight SATA 3.0 ports, an M.2 slot and quite possibly an included SATA-Express add-on card. The Gaming 5 board makes use of the same PCB but comes with fewer features. Finally you have the MSI Z97 Gaming 3, which has a different PCB and offers a 6-phase CPU iVR, no M.2 slot, legacy PCI slots, on-board audio and Killer NIC. MSI did not provide the pricing of the new boards so check with your local retailer to find out how much these cost around you. That is, if you are interested in these boards.